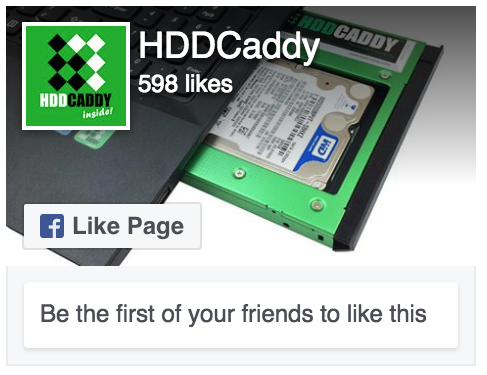 What is HDD Caddy? 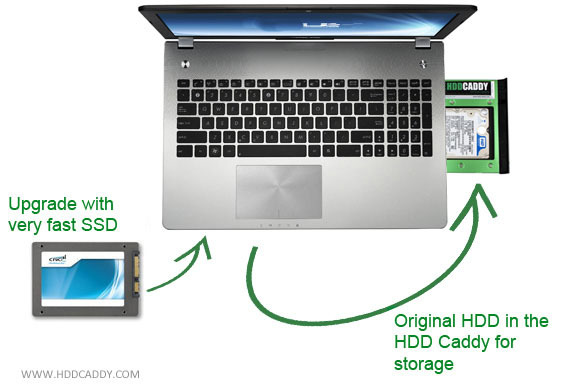 | HDDCaddy.eu - HDD Caddy for 2nd drive in every laptop! 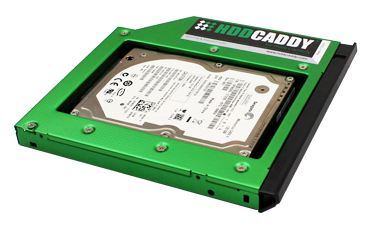 The installation of the HDD Caddy can be done in ten minutes. 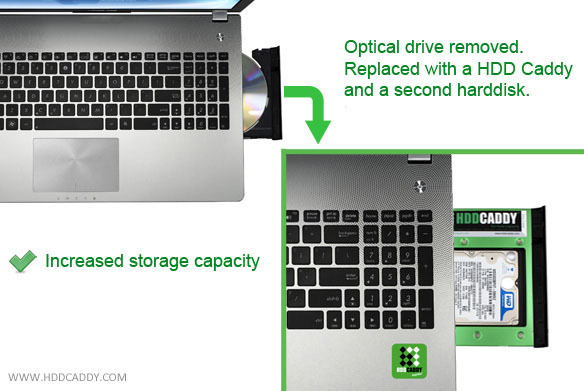 You can often remove the dvd-drive by taking out a screw at the bottom of your laptop. When the screw is removed you can take out the dvd-drive and replace it with HDD Caddy and a second hard drive. Then put the screw back in. 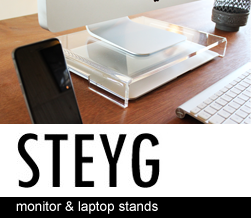 *Regular revisions are made to ensure compatibility and fit for certain laptop models. Design and color might deviate from our standard model. If you are interested, please visit our shop. Or if you have any questions please don’t hesitate to contact us through info@hddcaddy.com or use our contactform. You can also read more about HDDCaddy in our blog, instructions or see our videos.